A somewhat radical approach was taken at the request of the Festival team and this is what we came up with – a fresh, vibrant, colourful and eye-catching solution. 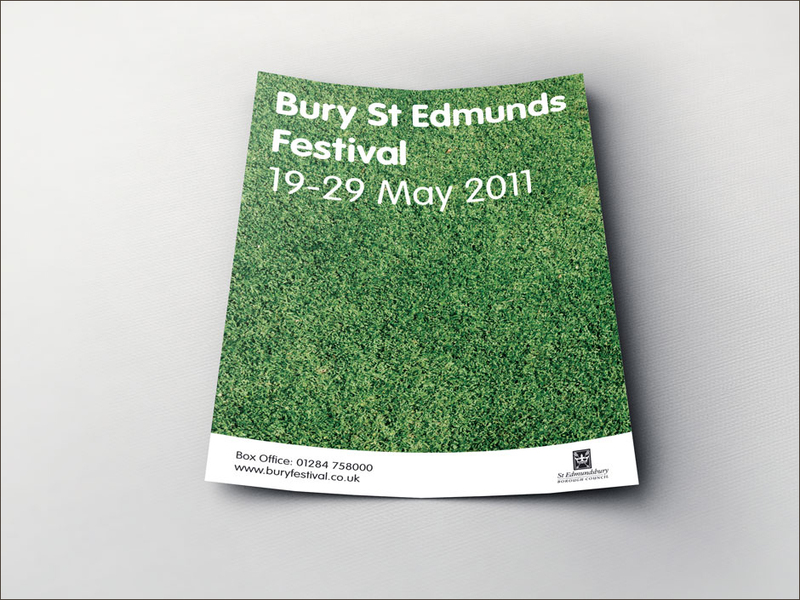 Organisers of the Bury St Edmund’s Festival invited Mono Industries to come up with some fresh ideas for the front cover of their 2005 Festival programme. 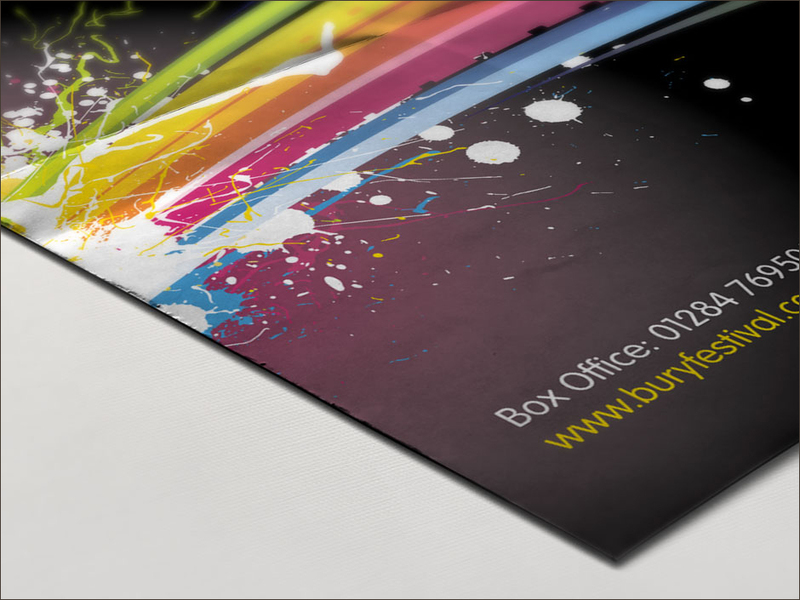 A somewhat radical approach was taken at the request of the Festival team and this is what we came up with – a fresh, vibrant, colourful and eye-catching solution. 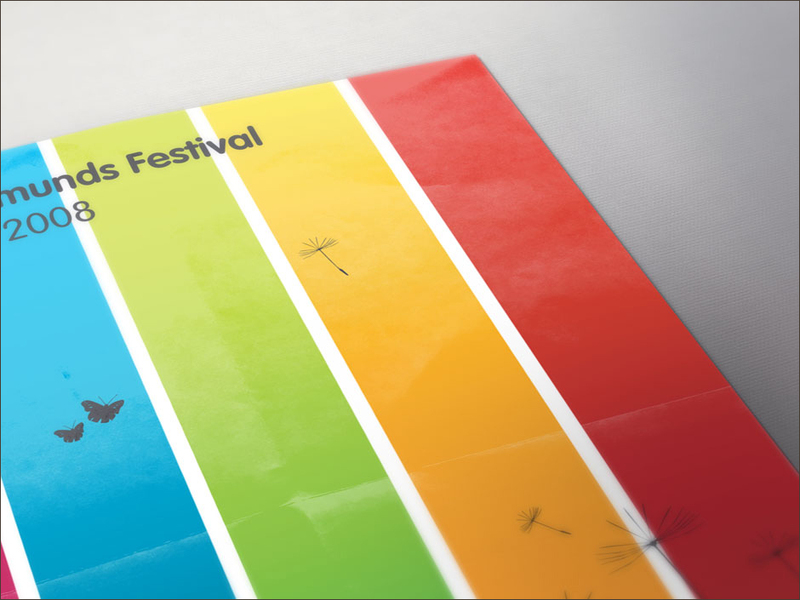 We’ve since designed the Festival brochure front covers for 2006, 2007, 2008, 2009, 2010 and 2011. 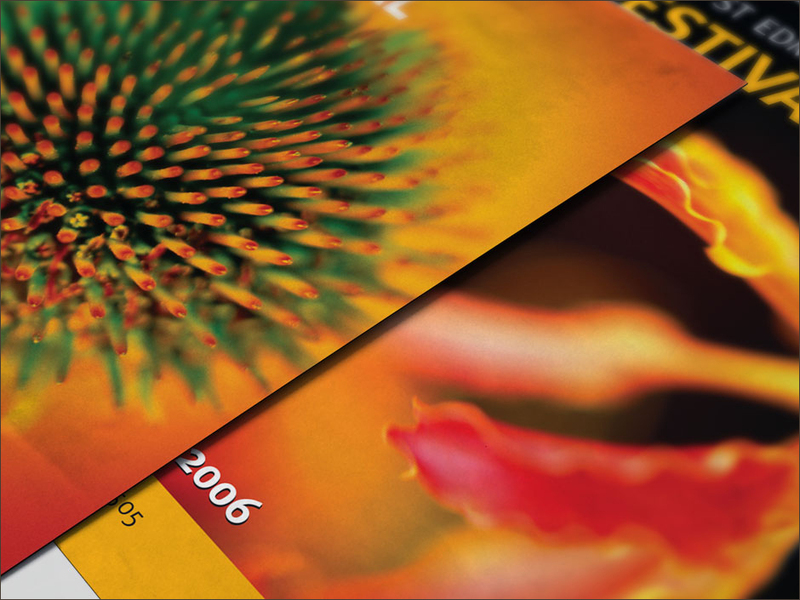 I approached Mono Industries to design the 2005 festival brochure knowing that they would be able to breathe some much-needed life into the festival’s image. What I have found working with Nick in just a short time is someone who is overflowing with creative and exciting ideas and ready with useful suggestions. He is flexible and he delivers and I would recommend him to anyone.